Your ears burn. Your eyes water. You cannot believe you just heard an experienced medical professional utter such an insensitive, ignorant comment. 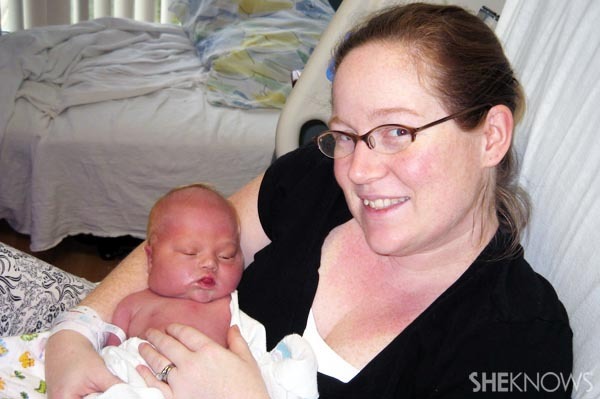 Parents who have received a Down syndrome diagnosis at birth share their stories. Some of these stories from real moms show we have a long way to go in offering compassion and support when families need it most. Giving birth is emotionally and physically taxing when everything goes smoothly. For families who learn after birth that their child has Down syndrome, a medical professional’s word choice, tone of voice and body language have tremendous impact — and too often, can make a difficult situation even more stressful. Lisa’s experience nearly 25 years ago offers a look back at a time when society — and doctors — reacted with less acceptance of a newborn with Down syndrome. Sarah shares the shock of learning her daughter’s diagnosis in the middle of the night from doctors speaking in hushed tones while her husband was sleeping just feet away. Susanna’s son is now 26, and her experience at his birth illustrates a sensitive approach from the same generation of physicians that advised Lisa to institutionalize her son. She and her husband felt fortunate because the news came quickly, the doctor used first-person language and he began by focusing on a positive. Terri Leyton is program director of the Down Syndrome Association of Greater Charlotte, North Carolina. In 2012, she helped launch the association’s First Call program, which trains parents to effectively support or counsel new parents who have just received either a prenatal or at-birth diagnosis of Down syndrome. She and her husband learned of their own daughter’s Down syndrome diagnosis years earlier in what she describes now as a “textbook” manner. After sitting down in Terri’s hospital room, her OB shared his suspicion that her daughter had Down syndrome. “My OB then gave me something to hope on. She said that people with Down syndrome can live independently. For example, she had a 25-year-old patient who lived on her own. Charlotte’s “Parents’ First Call program,” modeled after the Massachusetts Down Syndrome Congress’s program, seeks to provide expectant or new parents with unbiased, accurate information about Down syndrome by connecting them with trained individuals. That means up-to-date information on what people with Down syndrome can and often do accomplish. When Brandi learned of her daughter’s diagnosis, she remembers several doctors focused on informing her about what her daughter would be unable to do. Society’s more accepting nature and medical professionals’ increased diversity education perhaps have eliminated the knee-jerk advice by doctors to institutionalize a child with Down syndrome. But a lack of sensitivity may be a timeless and insurmountable challenge to ensuring parents receive a fair, compassionate and accurate diagnosis. For some parents, reflecting on the discovery brings clarity and a wistfulness. In a blog post titled, “On the Night You Were Born,” Jill Wagoner records her memories for her son, Cooper, about the very first perspective their doctor shared about Coopie’s future. “I will never forget him sitting down in the rocking chair, calm and casual and saying in no uncertain terms, as if it was the most certain thing he ever knew… that you would be the coolest kid. “He told us that you would do well, be loving, fulfill our lives and surprise us in many ways. He was so absolutely sure that it would all be OK. Does your child with Down syndrome need a sleep study?